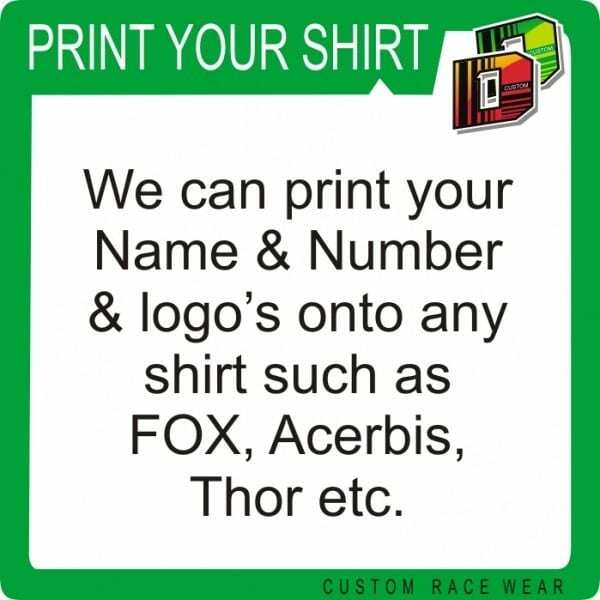 Printing your shirt (fox, alpinestar, Answer etc. We can apply your Name and Number plus logo’s if required. We only use the best materials, so you don’t get the shirt colours bleeding through your Name and Number. Many styles applied, describe your style required, or add an image for us to copy.